Introduced nearly 15 years ago, the Boeing 737-800 is not the newest, sexiest airliner in the skies. 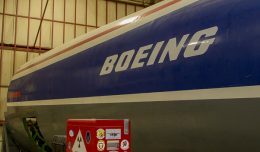 What the -800 is is the most popular variant of Boeing’s 737 Next Generation series of single-aisle, mid-range workhorses. 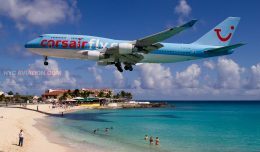 In the US, legacy carriers American, Delta and United all operate -800s, as do Alaska, AirTran, Sun Country, and others, along with with dozens of airlines around the world. The -800, along with its -700 and -900 brethren, have received some incremental upgrades over the years, but even the most visible of those — the 787 Dreamliner-inspired Boeing Sky Interior — has already been delivered on 300 737s since 2010, practically ancient history in the fast moving world of tech obsessed aviation geeks. After a few days of testing and practice runs since receiving the plane in late March, the first service was Flight 1717, Southwest’s 7:00am run from Chicago Midway to Fort Lauderdale. 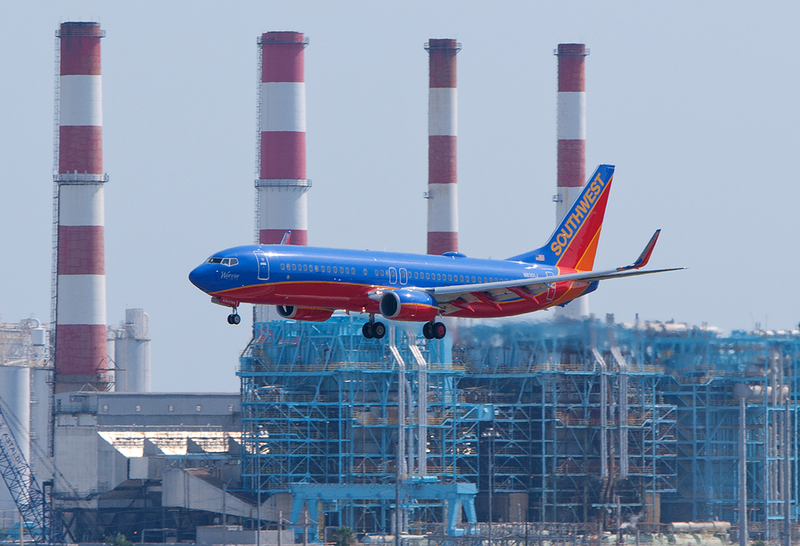 About 30 minutes later, the 737-800 registered N8302F entered service as Southwest 653 from Baltimore to Fort Myers. Largest Southwest plane ever: Southwest’s 737-800s are outfitted with 175 seats — nearly 30% more than their 137-seat 737-700s and 737-300s, and about 44% seatier (I just made up that word) than their 737-500s. (Note: -700s upgraded with Southwest’s Evolve interior have 143 seats). 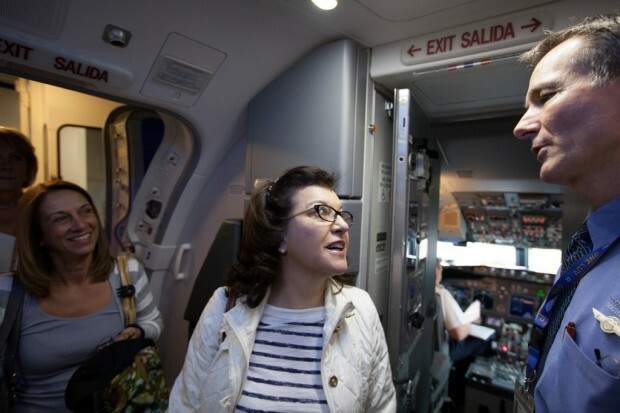 Extra flight attendant: Under the FAA’s safety formula, a 175-seat airliner must be staffed by four flight attendants. Since every other Southwest flight has until now operated with just three flight attendants, it was no small task for the folks in charge of crew scheduling to add a fourth to the system. 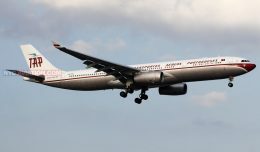 The addition also required negotiations with the flight attendants union. Service carts: Of the millions of Southwest flights operated over the airline’s nearly 41 years of service, not a single beverage service was conducted with anything more substantial than a hand-held tray. 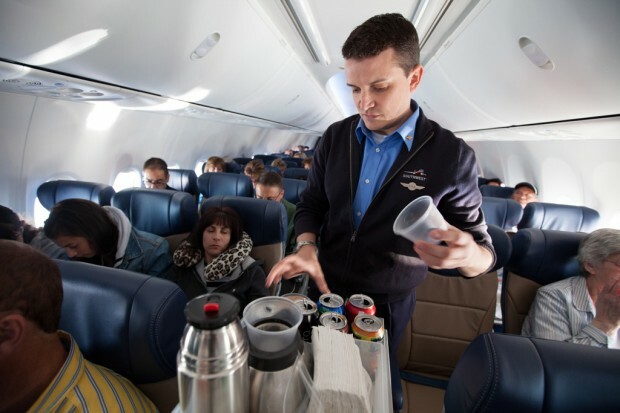 Not anymore: In an effort to speed up drink service, with the added-benefit of reducing strain on flight attendants’ backs and reducing the likelihood of spills, the 737-800 carries four beverage carts. These carts are half the size of conventional carts, allowing for better maneuverability. 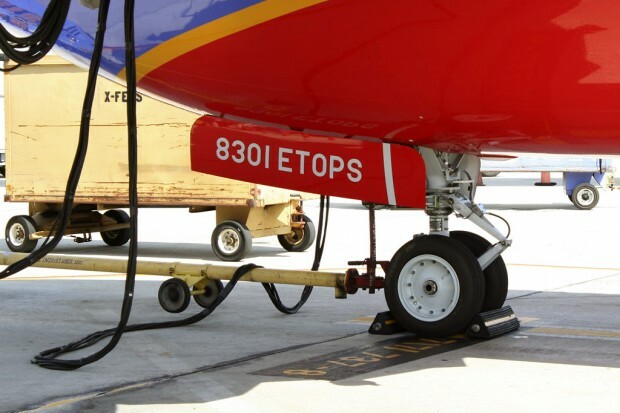 ETOPS rating: An acronym for extended operations (alternatively: Engines Turn Or Passengers Swim) any twin-engine commercial plane that flies a route that takes it over 60 minutes from a diversion airport must be ETOPS certified. Southwest’s 737-800s are the first planes in the fleet to hold the certification, which requires certain safety equipment onboard (you’ll notice ceiling compartments holding life rafts) and stricter maintenance practices. 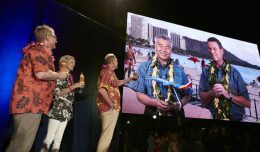 Southwest is mum on route plans, but the new planes could allow new routes to Hawaii. 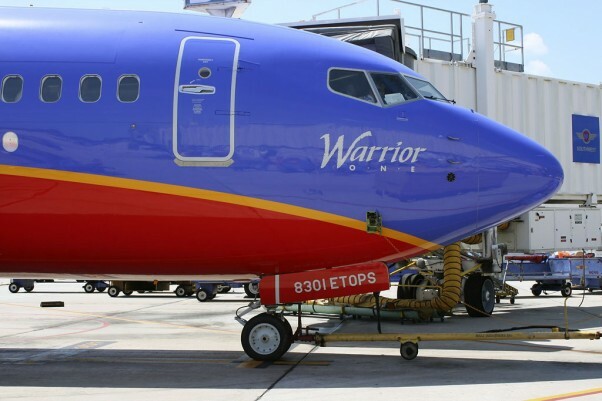 In fact, Hawaii is the only destination Southwest could possibly need ETOPS for. 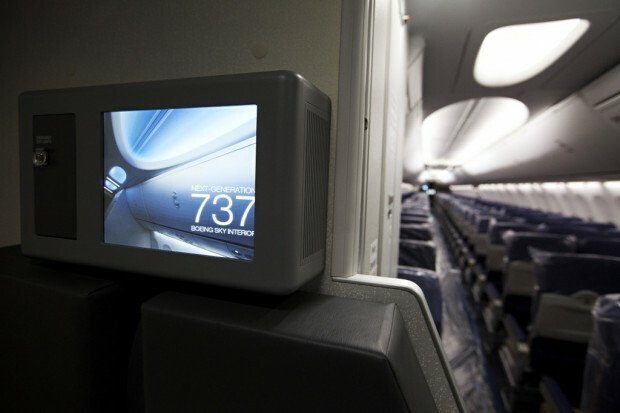 Comfort: The new plane features the Boeing Sky Interior: Larger, easier-to-use pivoting overhead bins, larger windows, LED mood lighting, a higher ceiling, and improved passenger service units (the reading lights, call buttons and personal air control.) Plus, they’re outfitted with Southwest’s new Evolve interior, the consumer facing-features of which include an improved color palette and more ergonomic seats. 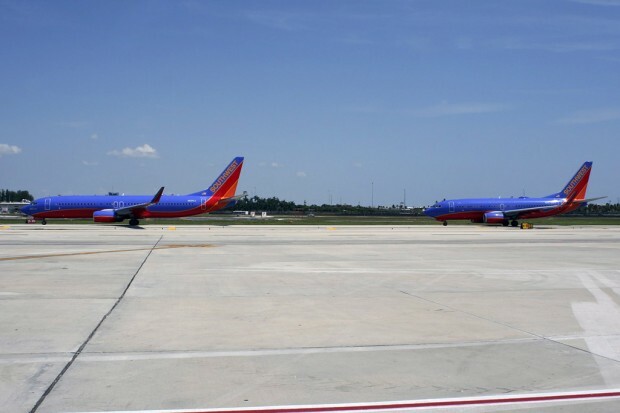 Southwest expects to receive 30 737-800s this year, and an additional 40 in 2013. 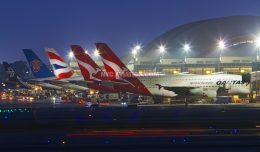 The first few will probably cycle around their biggest hubs, like Dallas, Chicago and Baltimore, but as more of the planes come online, the added seating will be useful for service out of slot-restricted airports such as LaGuardia and, depending on government approval, Reagan National. AirTran doesn’t operate the -800. -800 really looks nice. It’s more comfortable to travel with -800 not only for the crew but also for the passengers. Southwest made a good decision on having -800 as one of their aircraft. Thanks for this blog! It is probably due to the capital investments for that affect the contributing margins. But with more capital on hand (financed through bonds and stock) the company will be in better position to grab market share in segments it could not previously. As a retired Southwest Pilot, it is nice to see this advance for the company. Hi!! Do you know if the 738 in WN’s fleet are SFP? Thank you! !